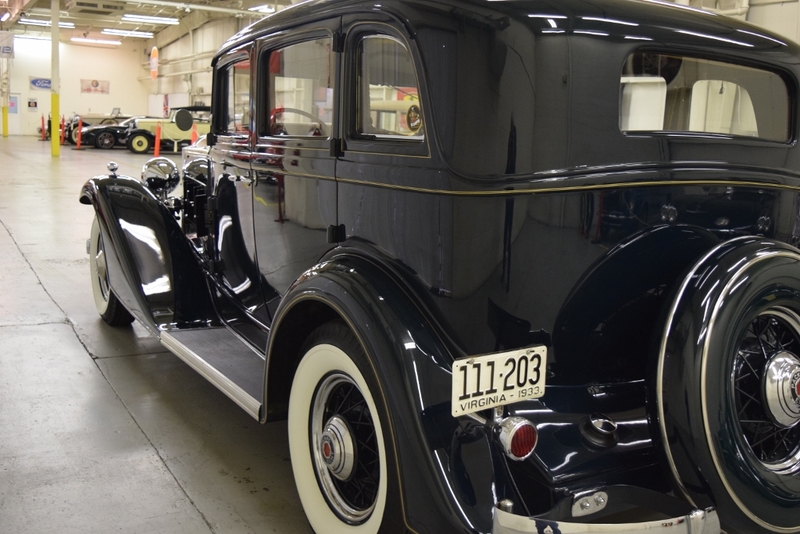 The Packards of the ’30s were the grandest of the American motor cars, and this 1001-603 5-passenger sedan likely transported a variety of the rich and famous people in its day. 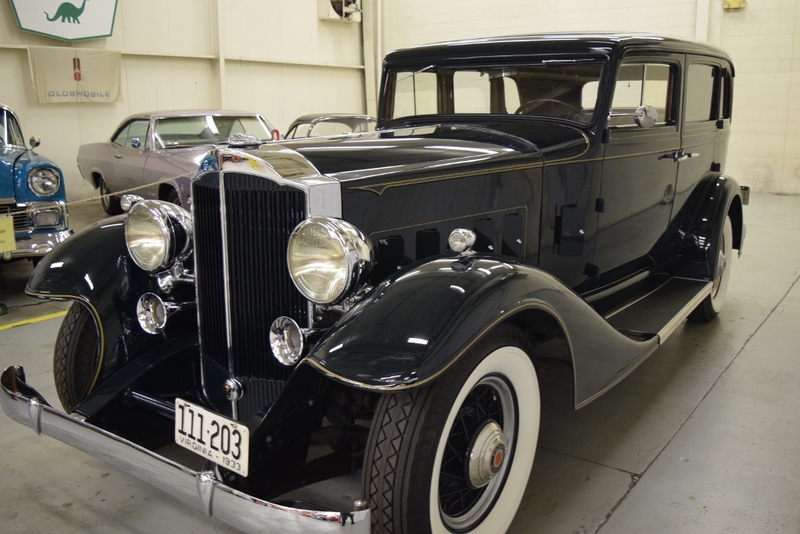 This fully-restored 127 inch wheelbase Packard is awaiting a new owner that will be able to enjoy now! Body stripped to bare metal and repainted. 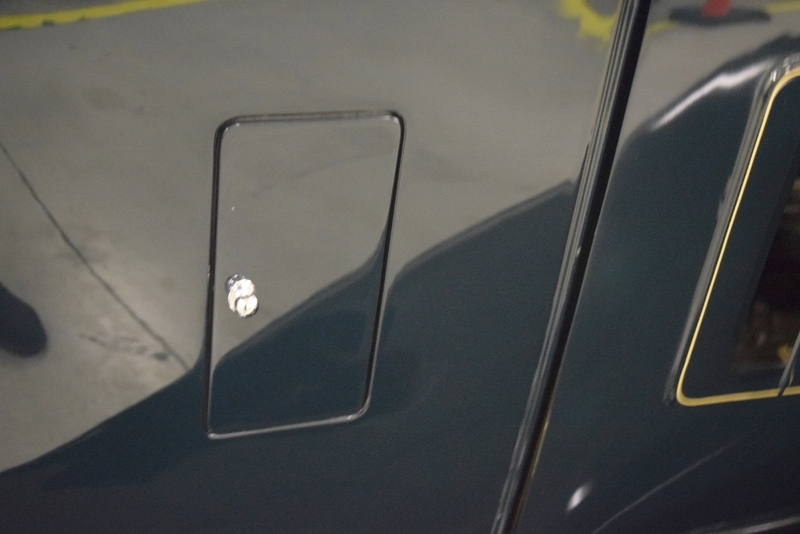 All exterior chrome was replated. 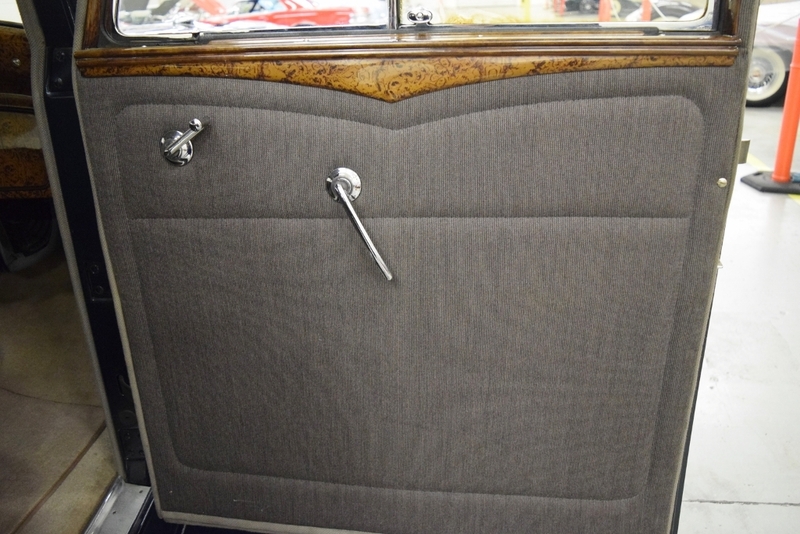 Interior was completely reupholstered as original. 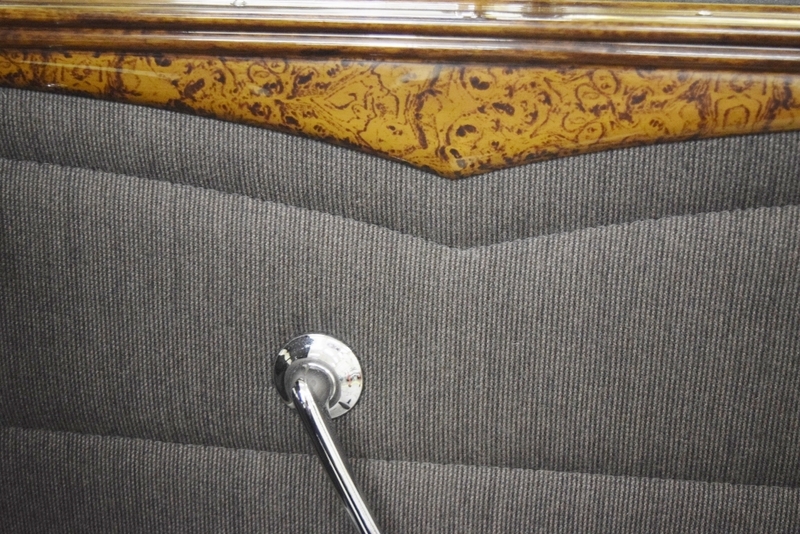 Dash and window garnish moulding re-grained. New wiring harness was installed. 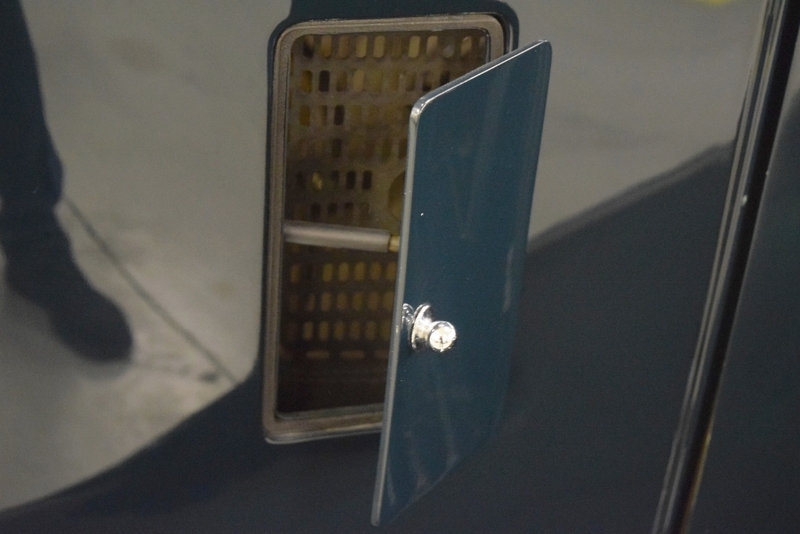 New top insert was installed. 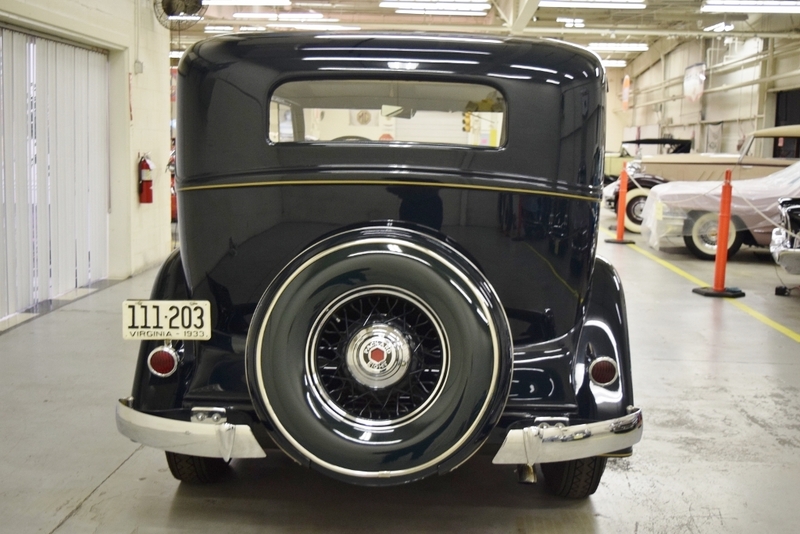 New wide white wall tires installed on wire wheels. 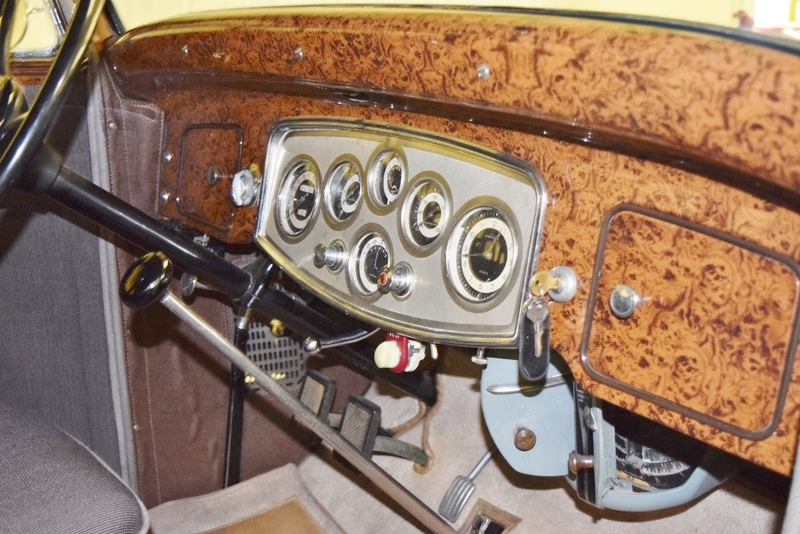 The car was stripped to bare metal and repainted in single-stage, non-metallic urethane Brooklands Green by Richard Gorrell of Berkley Springs, West Virginia. The paint gleams as if it were done yesterday and the paint job approaches show-quality. The yellow-gold pinstriping was hand-done by Zebra Stripes. 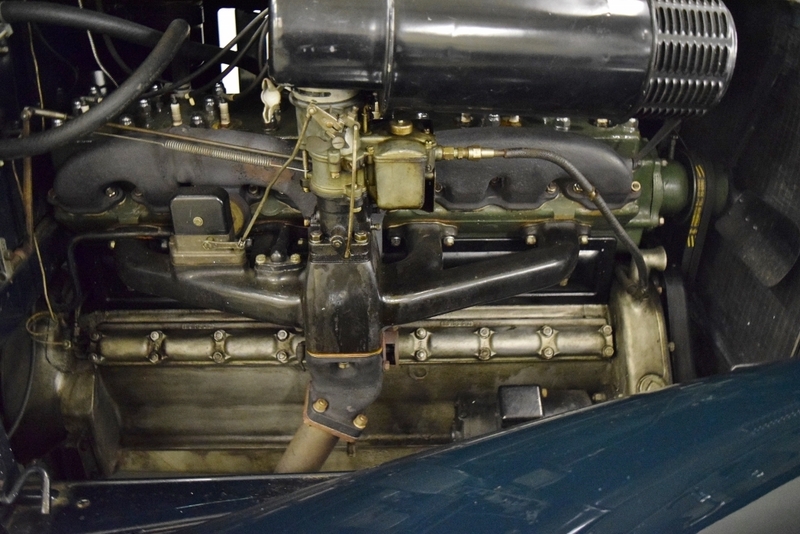 This Packard has a rear-mounted spare in a casing which matches the rest of the Brooklands Green exterior, leaving the front fenders clear of mounted spares allowing their sweeping lines to be fully appreciated. 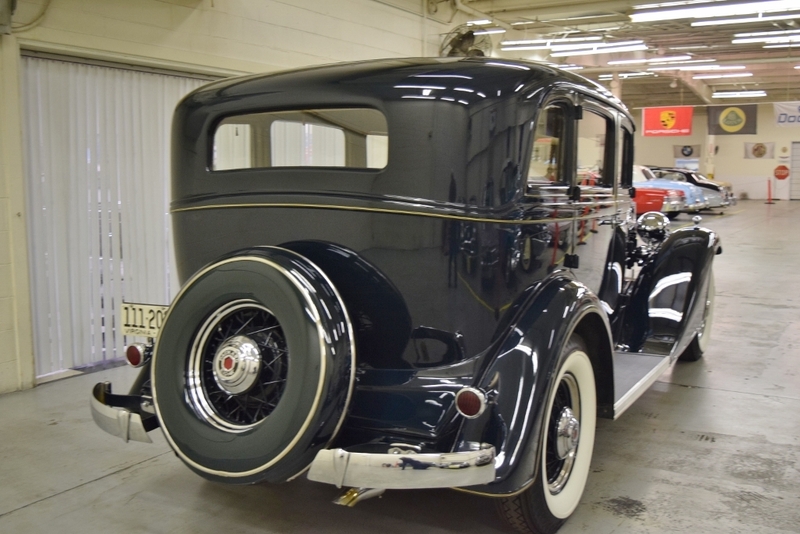 All of the external chrome was re-plated by Royal Silver Manufacturing of Norfolk, Virginia and looks as nice as it did back in 1933: perfect! 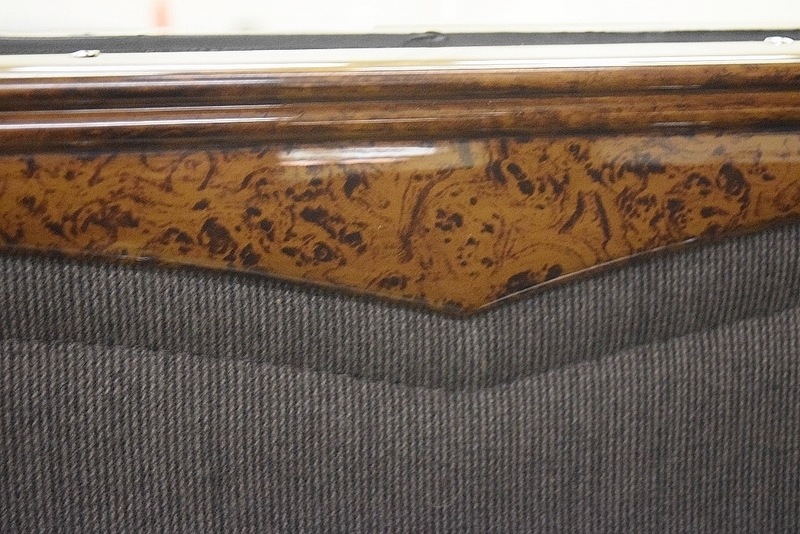 A new top insert was installed to complete the look. 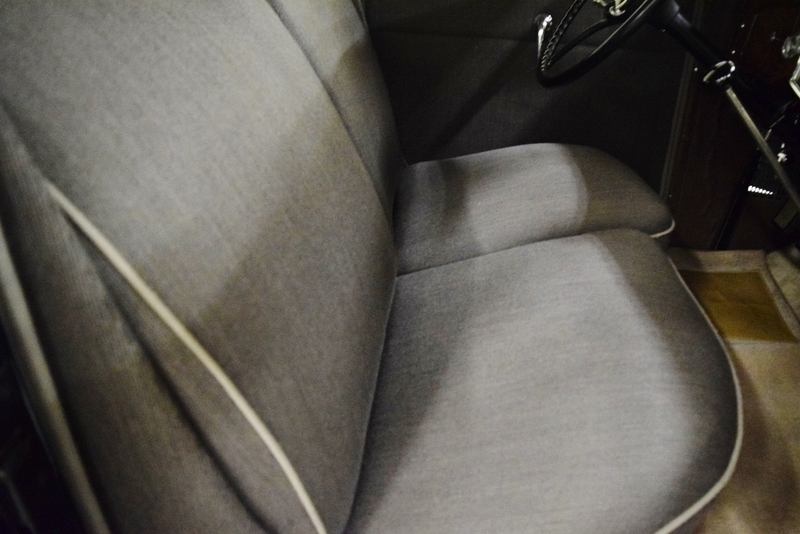 The interior was completely reupholstered in correct hairline-striped wool broadcloth from Lebaron Bonney and it looks like new, including the headliner. New rugs were installed to match the rest of the interior. 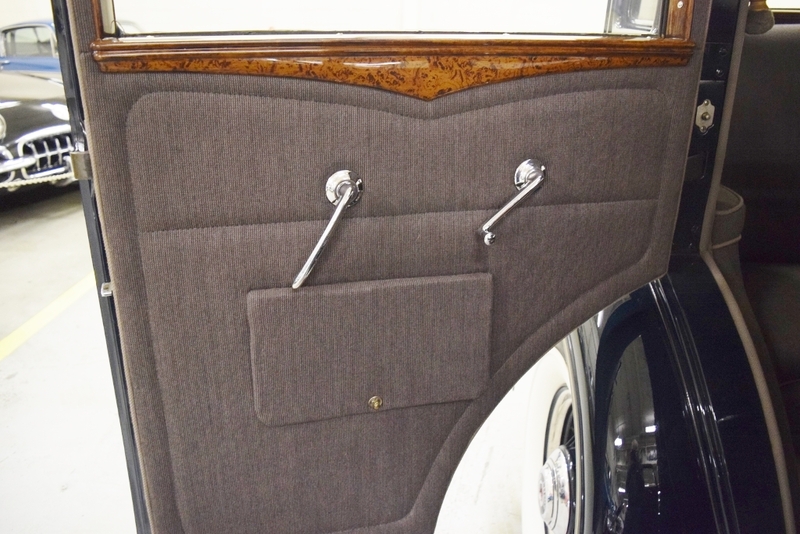 The dash and the window garnish mouldings were stripped and re-grained by Woodgrain Specialists and look as they did when the car was in the Packard showroom in 1933. 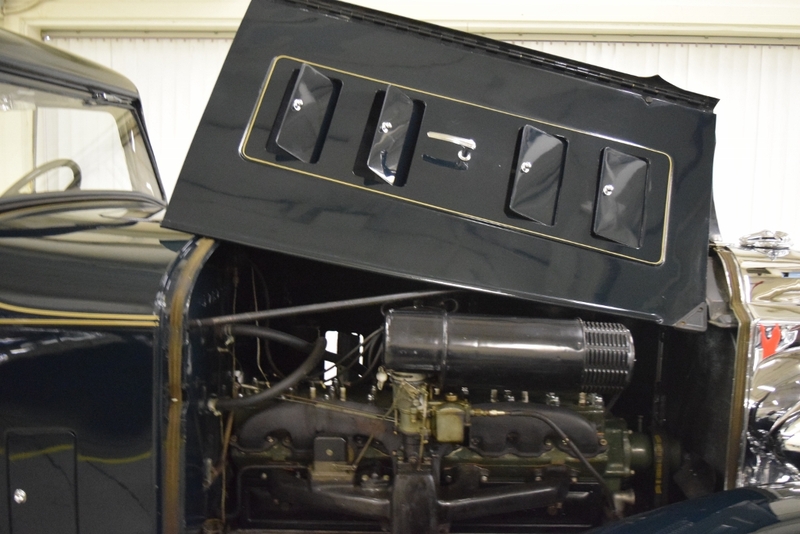 The engine has been (bored .030 over) by Westmoreland Restoration and the bearing re-babbited, resulting in a motor that purrs to life with the press of the starter button. The car starts smoothly when the clutch is engaged and continues its smooth operation through the shifting of the gears. 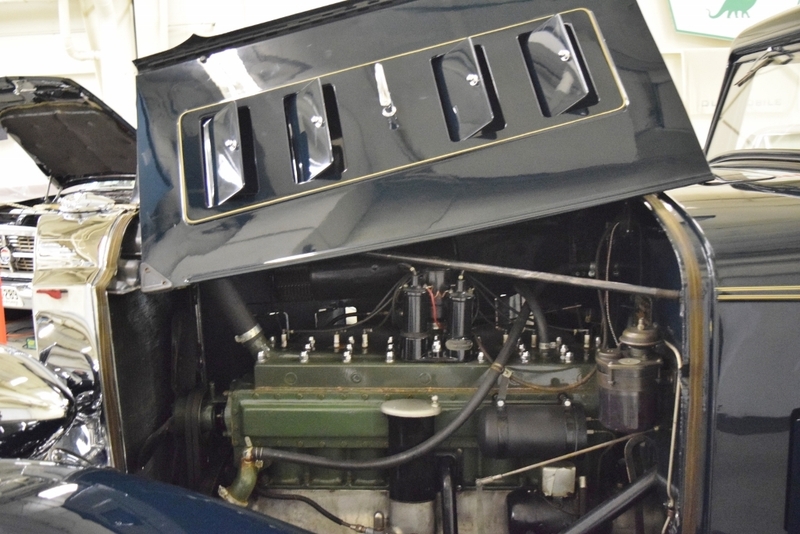 A new clutch was installed by Speedwell Garage during the car’s restoration. 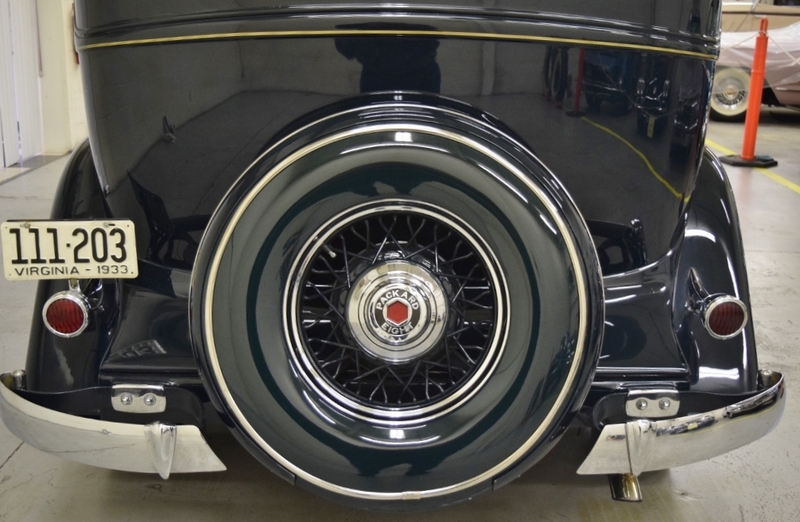 Wide-whitewall tires have recently been installed on the car’s refinished wire wheels. Chrome hubcaps with the famous Packard black and red motif adorn all 5 wheels. 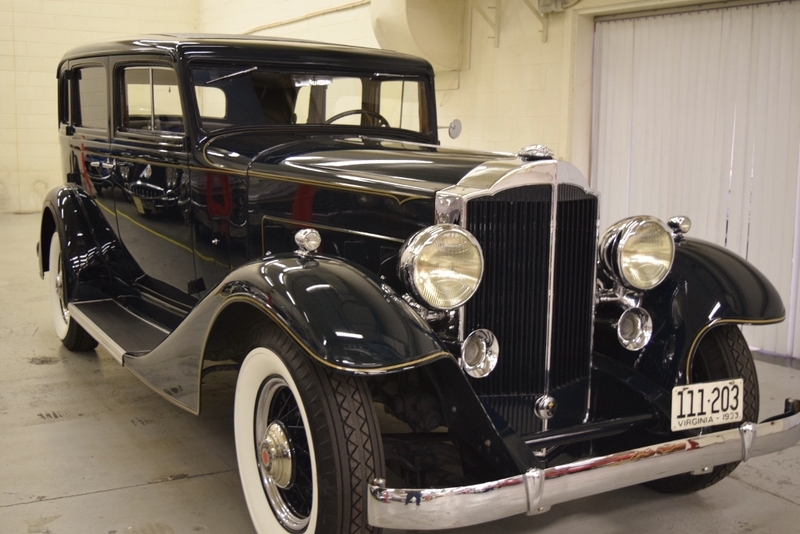 There is one phrase that can best describe this 1933 Packard: Classic Elegance! 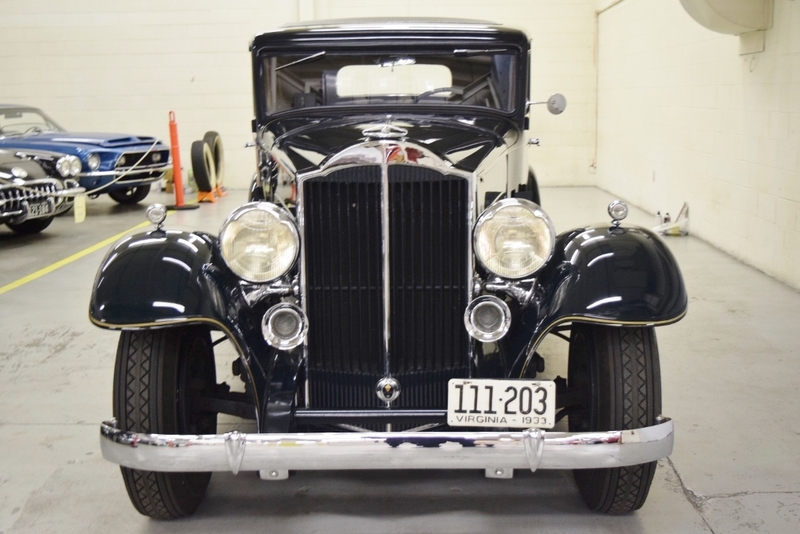 These are relatively rare cars in any condition because of the limited number produced during the Great Depression-just 4800 Packards of all body styles and models were made in 1933. 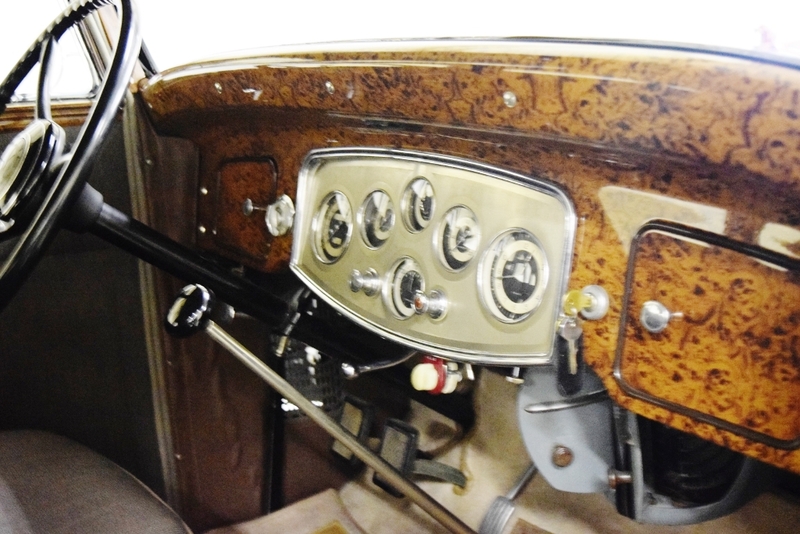 Finding one with this level of quality restoration is nearly impossible. 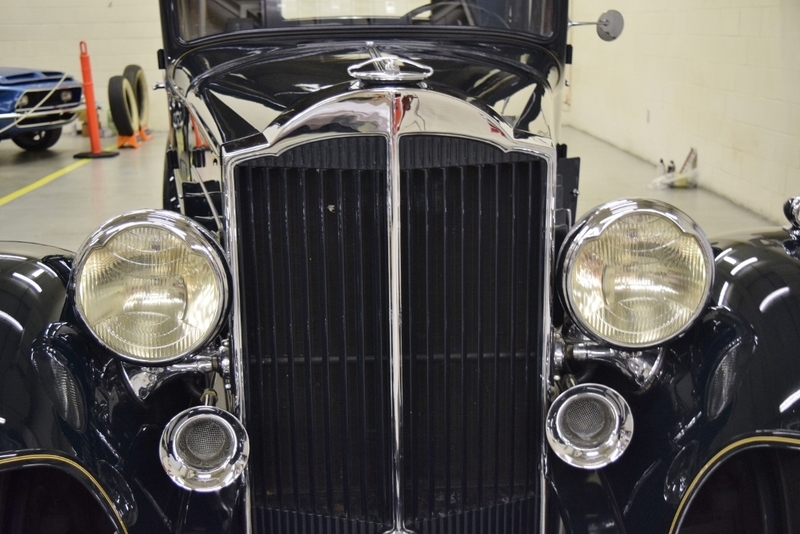 If you’ve always wanted an early 30’s Packard, this is the one to buy; and if you’ve never experiences the elegance of a Pakard first-hand, this is the one to see!